CAFNEC can offer a unique internship experience at the front line of environmental advocacy in one of the world’s most spectacular regions. With the Wet Tropics and Great Barrier Reef World Heritage areas, Cape York, Gulf of Carpentaria, Torres Strait and the Coral Sea all in Far North QLD – there is always something interesting happening in a region this large, globally significant and diverse! We have a small, dedicated staff at CAFNEC and we are often looking for interns. Internships are offered on an unpaid, voluntary basis. “I spent four months at CAFNEC as an intern. I had a fabulous time with all the CAFNEC crew, and with all the amazing people from the Marine Response Team. I did this internship to practice and gain skills in an environmental conservation centre for my university, based in Paris. As an intern I was given the fun job of organising the Plastic Free July campaign. I put together workshops, and I was able to meet and connect with lots of new and wonderful people. I learnt how to work better in a team, and all the possibilities that arise when we create something TOGETHER. If I can sum up in a few words my experience, I would say I learnt a lot about group work, advocacy and enthusiastic brainstorming! I couldn’t have expected more of my first internship in a foreign country. I received support, knowledge and good vibes from all of the CAFNEC team. I discovered how we can fight bravely and constructively for our ideas, in order to save our precious environment here on Earth. I’m really grateful for this experience, and the open-minded way of working that I came to discover over these four months because I opened mine. “Undertaking an internship with CAFNEC has been one of the best decisions I have made. CAFNEC has provided me with skills, knowledge and the confidence to work towards what I believe in. When I began my internship I was given the opportunity to work on the Drain Stencil Project. I was not sure what to expect, and how much was required of me but I found myself becoming increasingly enthusiastic about where I could take it, and who I could get involved with. The nicest part of being an intern with CAFNEC was that I was given great guidance by the staff but at the same time I was able to make decisions on my own. 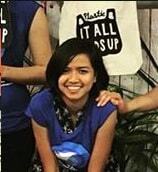 My name is Amalia, an international student at Monash University. Throughout the course of my studies, I have been overwhelmed with the environmental challenges that have been happening in Australia and from my research with of different case studies, have also admired how communities have responded and dealt with these issues. After my 1st year, I decided that a professional internship could help me understand these challenges and maybe help me in choosing a research a topic for my thesis. I was also curious as to how an environmental non-governmental organization works in Australia, as well as seeing the level of community engagement that it depends on. This brought me to apply for an internship with CAFNEC. CAFNEC has a solid reputation for nature conservation and environmental protection in North Queensland, and I admire their commitment and programs. I had such an amazing experience interning with CAFNEC during my winter break. I’m from Indonesia, and CAFNEC gave me the opportunity to experience first hand how an NGO operates in Australia. I had a chance to witness the process of setting up a campaign strategy, observed the decision-making process, got involved in community events, learned the importance of social media and community engagement, and also discovered a lot about the environmental movements in Far North Queensland. On top of that, I also had such a fun time living in Cairns, meeting amazing people, new friends, birding, and visiting national parks. “I was an intern at Cafnec from April 2015 until October. I was really pleased to be accepted as an intern for my last year of Uni doing a Bachelor of Science. I found the organisation really flexible with the days and hours that I worked, which was great for juggling work and uni. I was able to work, with and learn from some truly inspiring and talented people while also meeting others from similar organisations. I had lots of opportunities to connect with the local community and this was very valuable to me, having newly moved to the region. Cafnec gave me the responsibility of my own project, while also providing the support and guidance I needed to complete it. This gave me a fantastic opportunity to learn on the job, and experience what it was like to work in environmental advocacy. 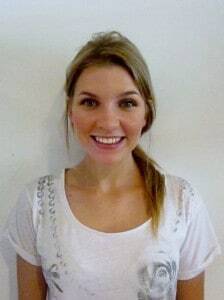 My name is Claire Geerlings and I am a student at Bond University in the Gold Coast. As part of my university major in International Relations I wanted to undertake an internship with a non-profit-activist organisation that is of great benefit to the community. 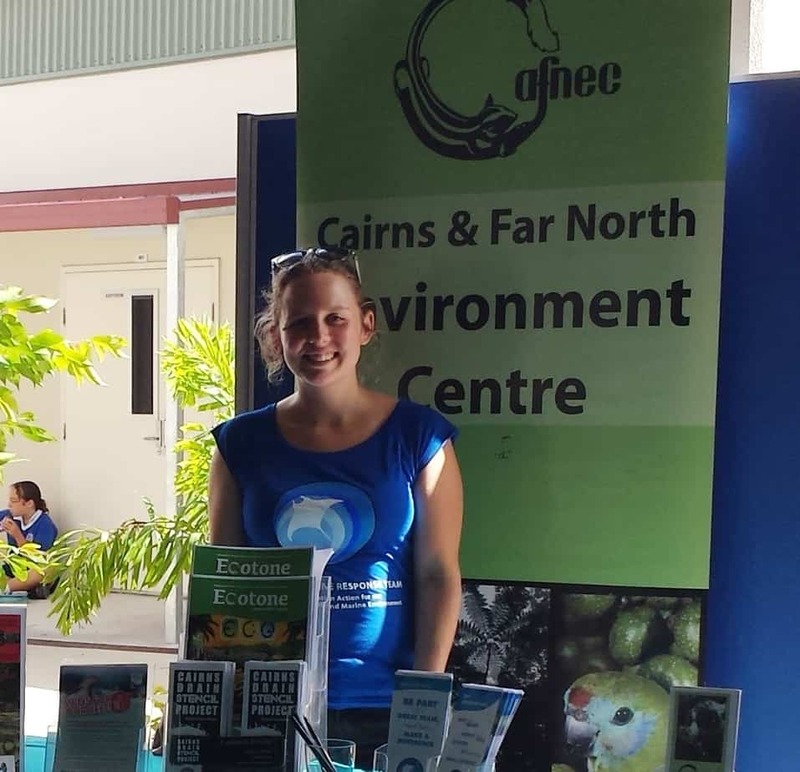 I was fortunate enough to get an internship with the Cairns and Far North Queensland Environment Center (CAFNEC) where I worked in their office (at the Cominos House) four days a week, for five weeks. I undertook research on international obligations for the development of Australia’s National Representative System of Marine Protected Areas (NRSMPA) and supporting national legislation. The result was a report and two fact sheets specifically for CAFNECs use. My internship at CAFNEC provided me with life-long values my favorite of which is: working towards something you believe in and setting goals. The CAFNEC staff and volunteers were all supportive and enthusiastic about environmental protection in our local area and it was a great chance to work in such a professional, self-motivated environment. During my internship, I was lucky enough to be invited to attend an The NERP Tropical Ecosystems Hub and Reef Rescue Conference at the Cairns Pullman Reef Casino with one of my supervisors. Experts from across the country came to deliver their findings about reef issues. My favorite from the day I went was speaker Andrew Negri who discussed the chronic effects of pesticides and their persistence in tropical waters. 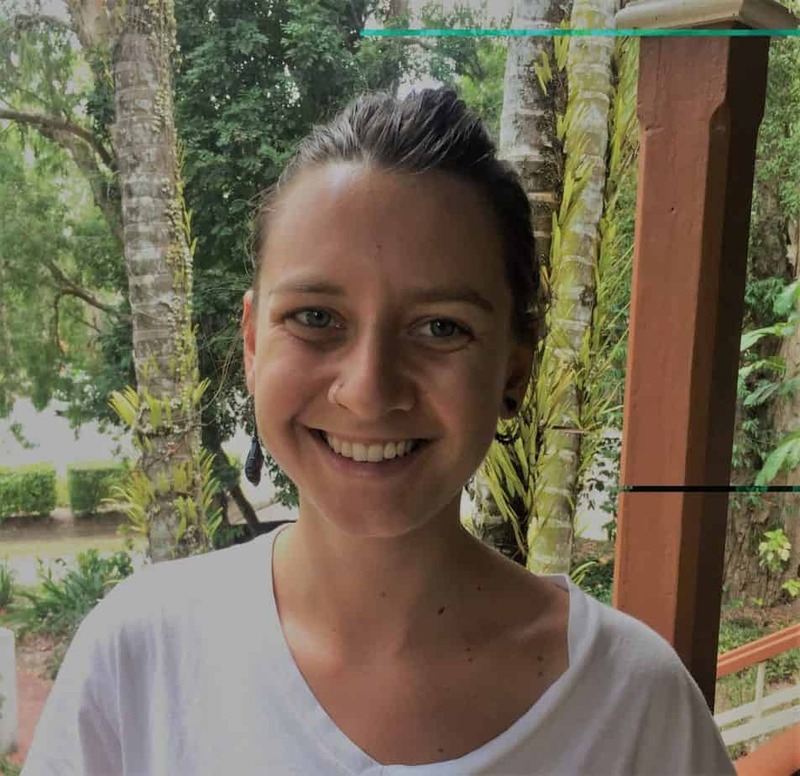 This essay will reflect on my recent work experience during the professional placement in the Cairns and Far North Environment Centre (CAFNEC). First of all allow me to introduce myself: My name is Mariasole Bianco I am 25 years old and in March 2009 I graduated from the University of Genoa with a bachelor degree in marine biology. In February 2010 I enrolled at James Cook University in Cairns and started my Master of Applied Science degree majoring in Protected Area Management and in March 2011 I have organised and coordinated my professional placement work experience in the Cairns and Far North Environment Centre (CAFNEC). I chose CAFNEC because I believed it would be a very suitable place and one where I would be able to contribute as well as learn. CAFNEC’s mission is to ensure that the unique and special natural heritage of Far North Queensland is protected. The Protect our Coral Sea campaign concerning the establishment of the Coral Sea Conservation Zone as a single very large highly protected Marine Park. The review of the conservation status and management arrangements concerning Traditional hunting of marine turtles and dugong. 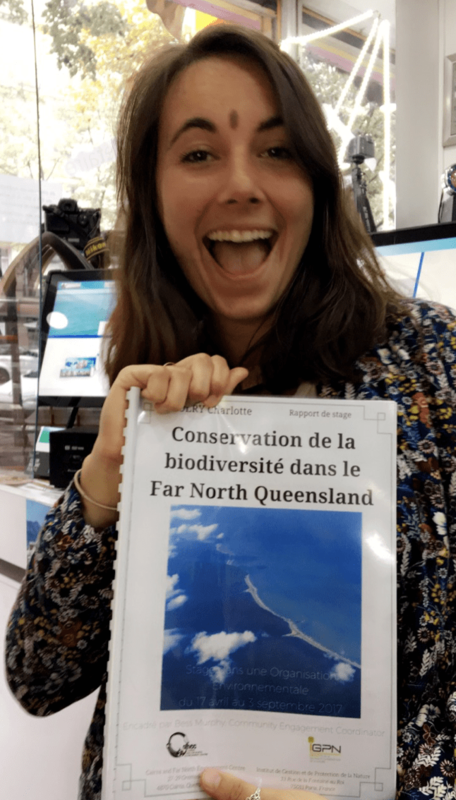 During the first week of my work experience I was given the task of reviewing a report about the physical and biological characteristics of the Coral Sea Conservation Zone written by Daniela Ceccarelli as commissioned by the Protect Our Coral Sea campaign. As a result of this assignment I have learned to use the correction system of OpenOffice to edit and insert comments and notes in a document thanks to a very good supervisor, Steve Ryan, who helped me, explain to me anything that I did not understand and welcomed me as part of the team. As a result of this task I have learned to better target information according to the audience finding this quite challenging as I am more used to scientific language. During my third week I was given a new project to follow about the sustainability of traditional hunting of marine turtles and dugong. I found this topic very challenging because it is a delicate cultural, political and conservation issue. The project involved interviewing different people from various organisations involved in this area with the aim of producing a discussion paper that was later on used by CAFNEC. The first people interviewed were from Cape York Sustainable Futures who were conducting a monitoring program about sea turtle nesting in the Cape York Peninsula. During this week I improved my time management skills and found that the Evernote software program was very useful and helped me to organise and keep updated on the information collected. In week four I continued interviewing people about the sustainability of traditional hunting and by conducting these interviews I improved my communication skills and to meet people that work in the field. During the fifth week I was very excited to be able to participate at a meeting with the Queensland Environment Minister Kate Jones about traditional hunting. This meeting was a fantastic opportunity for my future career because it gave me the chance to meet a lot of people from various organisation (such as GBRMPA, WWF, QPWS.) that were also attending the meeting. In my sixth week at CAFNEC I realised that this will be my “crunch” week. I held my final interview with Jann Crase author of Indigenous management of marine turtle and dugong to review and organise my discussion paper. I also had to synthesise all the information collected and organised them into short, medium and long term recommendations. It was the first time that I had to write a discussion paper so I read some other published discussion papers and tried to follow the same outline. Meanwhile I prepared and made a presentation about the important role that the Coral Sea plays in protecting pelagic migratory species at the opening of the underwater photographic exhibition of the Coral Sea held in Cairns. It was difficult to follow two projects at the same time but the audiences were very happy with my power point presentation and this acted as a boost to my self-confidence. During the seventh week I felt highly motivated and I produced an article about the importance of the establishment of the Coral Sea as a large-scale no-take protected area. The focus of the article was the impact of recreational fishing on the Coral Sea Conservation Zone because the recreational fishing lobby is very influential and some of them are still against the establishment of the proposed no-take area. After six weeks of work experience I started to find it easier to research a topic and produce an article about it. I also realised that I was becoming more careful about targeting my information according to the audience even if my articles were always scientifically based. In my final week I organised a presentation about the biological physical and ecological values of the Coral Sea, the importance of pelagic marine protected areas for migratory species and the reason why the Coral Sea should be established as a large-scale no-take pelagic protected area. This project may be presented to the JCU academics in Townsville and Cairns in October this year. After eight weeks I felt that I had met the challenges and had a high level of personal satisfaction. When I think about my work experience I believe that it is important for my future career to be able to produce up to date articles and conduct interviews with different stakeholders. I feel that I accomplished the tasks that were given to me and I enjoyed consulting with other members of the CAFNEC team. To summarise, during my eight weeks of working experience I held two power point presentations, wrote two articles and conducted six interviews. I had a meeting with Kate Jones the QLD Environment Minister and I produced a discussion paper concerning the sustainability of traditional hunting that was presented in May at a roundtable meeting with the Federal Environment Minister. After the presentation held on the 20 th April about the important role that the Coral Sea plays in protecting pelagic migratory species at the opening of the underwater photographic exhibition of the Coral Sea held in Cairns I was approached by the editor of the CONNECT magazine to write a follow-up article about the presentation. I feel I can confidently say that during my work experience at CAFNEC I learnt a lot! During my work experience I have learned a lot of things but if I have to identify the most useful things that I learned I will say that targeting information according to audience has been the most valuable especially coming from a scientific background and also to produce a discussion paper in which I have to synthesise a lot of information that I had collected. If I have to identify my main strength would say that it is the ability to communicate in an easy way and involve other people in the topic. I am also aware that the knowledge gained at the university about the topic that I was working on was appropriate and very beneficial. I am very pleased with the progresses made especially since it was not my mother tongue neither was it in the scientific style that I am accustomed to working in. In conclusion I believe that my recent experience formed a valuable part of my overall James Cook University course of study. The eight weeks at CAFNEC have confirmed in my mind the belief that I have chosen the correct career path and look forward to working in this area after my graduation. Thanks once again to all the CAFNEC staff members for your invaluable help!